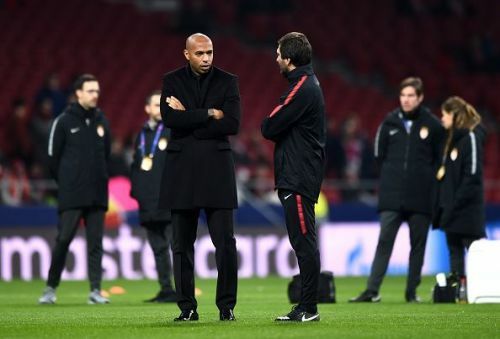 On Thursday evening, Monaco announced that Henry had been suspended from his duties as manager and that Franck Passi would take over training. Just 24 hours later, he was relieved of his duties and sacked after only three months in the hot seat at Monaco. Leonardo Jardim, who Henry replaced, has taken his old role back and returned to Stade Louis II. In a bizarre turn of events, Henry expressed his sadness after being sacked. The former Arsenal man was embarrassed in his last fixture as manager at the hands of Strasbourg. The Monegasque outfit continued to struggle and were defeated 5-1. His former club currently languishes in 17th place and face the task of a relegation battle. Relegation would be disastrous for Monaco due to the quality of some of their players and a monster wage bill. After such a short period of time on the Côte d'Azur, what actually went wrong for Henry? Every manager is looking for the next big thing in their academy or elsewhere, and Henry was no different. In his tenure, he gave lots of chances to youngsters with some making their full debuts in big games in the UCL. Youngsters like Willem Geubbels, Yahn Massengo, and Sofiane Diop were given chances under Henry with some of these appearances being in big matches. Massengo made his full debut as a substitute in a 4-0 demolishing against Club Brugge in the Champions League, a team Monaco should have been beating. 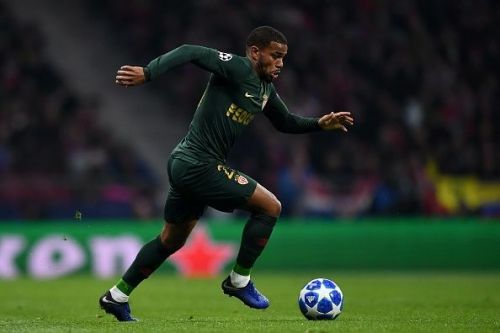 Injuries didn't help matters but at times in Henry's stint as Monaco boss players like Youri Tielemans, 21, and Samuel Grandsir, 21, have been considered experienced players in the team due to the youthfulness of Monaco's squad. Henry placed plenty of trust in the youngsters, at times without choice, and this could have backfired resulting in his sacking. Monaco have noted the fact their squad may be lacking experience and have recently bought experienced players in Cesc Fabregas from Chelsea and Naldo from Schalke. The Frenchman's reign lasted 20 games and resulted in 11 defeats, 4 draws, and 5 victories. In these 20 games, he struggled to decide on a specific formation, tending to play three different formations throughout his tenure- 4-4-2, 4-2-3-1 and 3-4-3. Henry's intention in his tactics was to play from the back quickly and push the ball into wide areas where high-pressing fullbacks in the form of Benjamin Henrichs and Djibril Sidibe would be looking to provide service for talisman, Radamel Falcao. However, this philosophy that Henry has tried to portray has benefited opponents, especially teams who adopt a high pressing system. Due to a lack of control from centre-backs, passes are sometimes misplaced as there is pressure from their opponents' forward line and a lack of options with full-backs in high starting positions. This leads to a loss of possession and enables opposition attackers to spark a fluent and quick counter. Pressing also falters due to a large amount of space between the midfielders and the forward line. This allows the opposition to easily play past the first line of press and create attacks quickly. In attack, runners have been static, to say the least arguably down to a lack of a cohesive team selection and formation. Wide players become bunched in half spaces and are easily closed down by their markers. 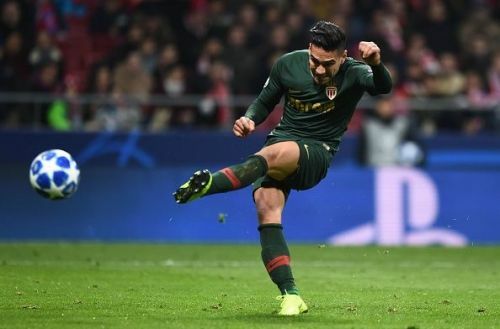 Radamel Falcao often had to come deep to try and start attacks take him away from where he is most lethal resulting in Monaco lacking a presence at times in the box. Falcao's lack of presence has been shown with the Colombian only hitting the back of the net on 8 occasions in 32 appearances. A lack of attacking potency was shown with Henry's men only managing 15 goals in the 20 matches he was in charge of. The tactic relied too much on long passes in between the lines which are hard to come by when a forward line is static and strikers have to come deep to get involved. A lack of runners then makes it hard to break down opposition defences. Monaco also struggled to control games under the former Belgium assistant manager, only managing an average of 49% possession per game. It could be argued that Henry had been unlucky in his time at Monaco, with several of his key players picking up injuries. Veteran centre back Kamil Glik and summer signings as such as Golovin and Nacer Chadli also picking up injuries. This frequent occurrence of key players getting injured prevented him from maintaining a specific starting XI and a specific formation. However, his tactics and other factors had a big part to play as Monaco's squad even with injuries shouldn't be sitting in the relegation zone. 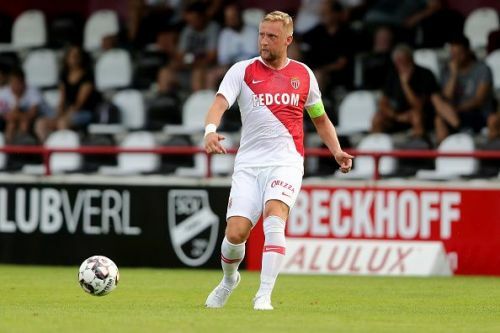 Team leaders being absent, like Polish international Kamil Glik and club captain Falcao, has at times left Monaco inexperienced with a lack of leaders on the field. Whether this was down to poor fitness training or luck, it certainly had a big part to play in Henry's disappointing tenure. Former Chelsea sporting director Michael Emenalo arrived in the summer at Monaco and completely changed the way the squad looked. Key players like Thomas Lemar and Fabinho left for big fees with Alexandr Golovin and Nacer Chadli arriving in their place. The new squad will have also damaged Henry's chances of success. A new influx of players to replace the core of the squad were handed to whoever had the reigns at Monaco. An inexperienced manager would have struggled to integrate a new core to the squad to replace an existing one and Arsenal's leading goalscorer did. Henry had struggled to get the best out of these summer signings with none of the arrivals making a big impact since they arrived on the French Riviera. A difficult task given to Henry and Jardim before him, one at which they both failed. However, Jardim is going to be given a second chance to succeed. Emenalo's horror show in the summer window has had its consequences and he has since followed Henry out of Monaco. Henry demonstrated his ability to mentor his players in a glimpse of the relationship between him and the young centre back Benoit Badiashile in a press conference. Upon leaving the press room, Badiashille forgot to push his chair under. This was treated with a death stare from his manager before he returned to rectify his mistake. Arsenal fans among others lauded this mentality and said it showed true leadership by teaching respect into such a young talent. However, this leadership and mentorship may have gone missing in his instructions. 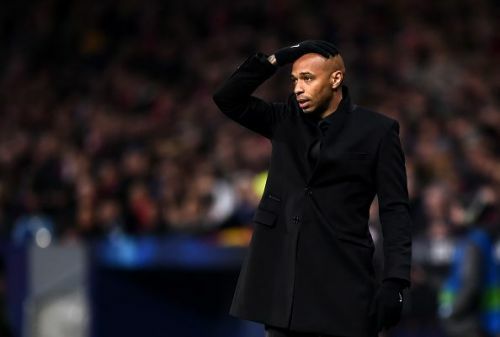 In Henry's reign, Monaco received four red cards in 20 matches showing there was a lack of discipline on the pitch with players being sent off far too regularly. His side also received over 25 yellow cards. This lack of discipline and 11 men on the pitch in games will have made his job even harder when it came to trying to improve the situation at his boyhood club. If discipline was lacking as much it seemed to be, it was always going to be an uphill struggle for the 41-year-old. What's next for Henry and Monaco? Monaco are now under the leadership of Leanardo Jardim once again as they look to secure their Ligue 1 safety. A massive turnaround from where the Portuguese manager was 2 years ago when his Monaco side were crowned 2016/17 Ligue 1 champions. Monaco have strengthened in the January window with the arrivals of Cesc Fabregas and Naldo permanently as well as the loan signing of Gelson Martins from Atletico Madrid. Michy Batshuayi could also make a return to Ligue 1 in red and white before the close of the window. Henry has previously worked as a pundit for Sky Sports and was the assistant manager at Belgium under Roberto Matinez. If either of these positions are vacant, he may look for a return to one of his old employers. If this isn't the case, Henry has the decision to make whether to go into the media side of the game or look for another job in coaching or management. What's gone wrong at AS Monaco? Where is Monaco's 2016-17 Title Winning XI in 2018?